Finding the right eyewear is crucial, regardless of the situation. Whether you simply want to enjoy a good TV show clearly, or need glasses to see clearly during your morning commute or work, you have to make sure to find exactly what you’re looking for. Unfortunately, that seemingly simple statement can quickly become complicated. Put simply, there are just to many options available to know exactly which actually works for you. That problem only becomes worse when you have a problem with your eyes that can affect how individual lenses and frames work with your vision. That’s exactly the case with astigmatism. You might not even know you have it. But if you’re not careful, and buy the theoretically beneficial progressive lenses, you will soon find out. And yet, you still want to take advantage of the many benefits this lens type can provide. To prevent any unexpected and unpleasant surprises, take 6 steps to enjoy your progressive lenses even if you’re suffering from astigmatism. First, it’s important to understand just what astigmatism actually is. You might have heard of the term, perhaps even from your eye doctor during your last appointment. But it’s just as likely that you’re suffering from its symptoms without ever completely understanding what the problem is. Astigmatism is an imperfection in the curvature of your cornea — the clear, round dome covering the eye’s iris and pupil — or in the shape of the eye’s lens. Normally, the cornea and lens are smooth and curved equally in all directions, helping to focus light rays sharply onto the retina at the back of your eye. However, if your cornea or lens isn’t smooth and evenly curved, light rays aren’t refracted properly. When that happens, your vision for both near and far objects can start to appear blurry or distorted. You might be born with this problem, or it might become an issue over time. Either way, for blurry vision, checking with your eye doctor is crucial. Astigmatism, of course, is only one half of the equation. The other are progressive lenses, and the promise they make for anyone needing multiple prescription strengths at once. 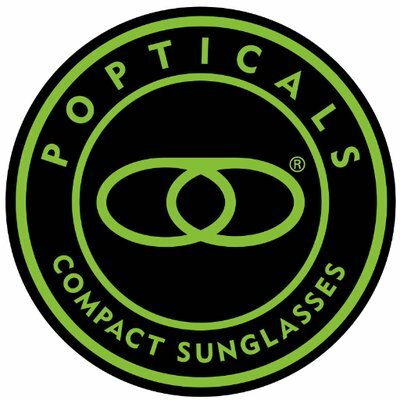 Progressive lenses are, in essence, an evolution of traditional bifocal glasses. Especially as you age, you will begin to need different prescriptions for both near and far vision. A bifocal lens is essentially split in the middle, offering one prescription at the top and the other at the bottom. Progressive lenses take that concept one step further. They eliminate the line between both strengths, making for a more natural vision experience. You can see equally clearly both near and far. Progressive lenses are, in many ways, designed to treat astigmatism. That’s because their purpose aligns perfectly with the programs individuals who have this eye problem face. Allowing for multiple strengths of prescriptions at the same time means your lenses can provide you with the right tool to see clearly even as your cornea is no longer smooth and properly refracts the light. But that can only be true if you get your prescription right. If not, you end up with lenses that your eyes can never get used to. That, in turn, leads to headaches at best, and significant balance issues at worst. So before you begin to shop for the right glasses, make an eye doctor appointment to ensure you only do so with the best and most accurate available information about your vision. 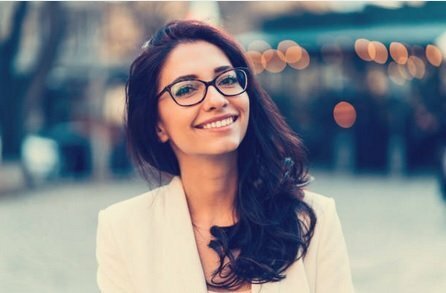 With the right prescription in hand, it’s time to look for an online merchant that can reliably get you the exact lenses you look for and need. Even better, if you find the right website, you can make sure that the frames you choose also fit ideally with both your lenses and your style preference. To get to that point, look for a merchant with a proven record of producing high-quality progressive lenses. A wide selection in frame and lens options also doesn’t hurt. 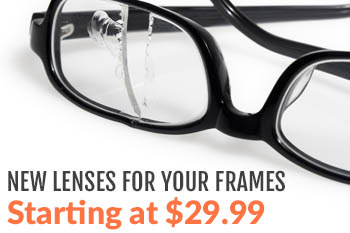 You might want to add extra coatings, such as anti-glare or anti-fog. In either case, you should make sure that whoever you choose can support that. Finally, make sure that you choose a vendor with a robust warranty and returns possibility. This matters because if your astigmatism and new progressive lenses don’t get along well, you should always have the option to easily return the product and find a better alternative. Finally, the time is here. You’ve been waiting for this moment: finally, a pair of lenses that actually suit your needs and can help minimize the impact of your astigmatism. And yet, you put them on for the first time, and get an instant headache. Don’t panic. This type of reaction is normal, especially for progressive lenses and for people with astigmatism. It means that your eyes are adjusting to a light situation they’re not used to, and making these adjustments is not always without pain. You might get headaches, or feel a pulling sensation. If you’ve chosen the right prescription, that feeling will pass. But you should allow for a definite adjustment period, ideally up to two weeks, to make sure your head and eyes can adjust. To end this post, an important note: if after the adjustment period, you still cannot see clearly or suffer from negative side effects, don’t try to push through it. Instead, it might be time to either return your glasses, or make sure your prescription is accurate. Astigmatism and progressive lenses can be a potentially powerful combination, but only if done right in addition to allowing it to adjust to your eyes for a while. When that doesn’t happen, your choice of merchant should allow you to return your glasses, get a refund, and look for a better alternative. Astigmatism can be annoying, painful, and even dangerous. With progressive lenses, you can at least partially take care of that problem. To learn more about this lens type, and how it might benefit you, contact us.